With the help of families across the nation, FamilyFun Announces its 2015 Toy Of The Year Awards. 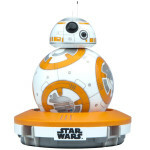 FamilyFun magazine has announced its 2015 Toy Of The Year awards. 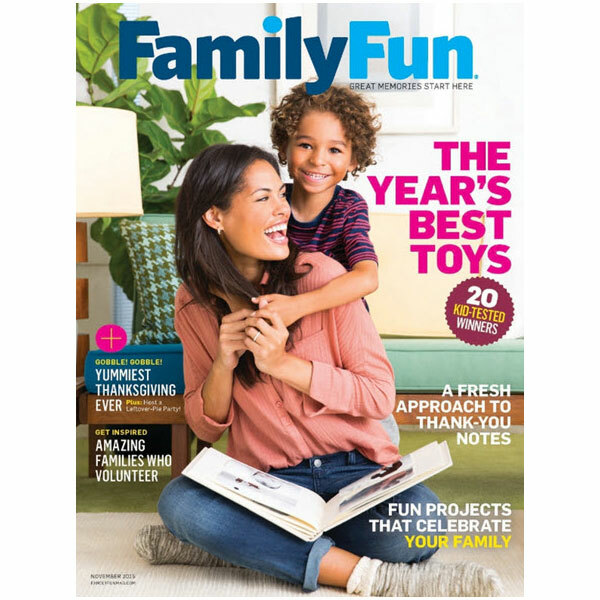 With the help of families across the United States, the magazine tested over 300 toys to find the best of the best. 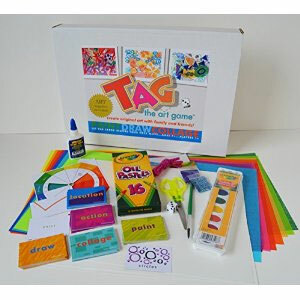 For nearly 1000 hours, families tested board games, cute jewelry, blocks, and more. The toys are all kid tested and approved. 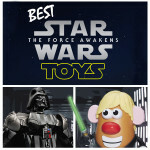 They narrowed their list to 20 of the most unique and fun toys. The best part? All of the toys that made the list get kids way from the screen. With kids increasing turning to entertainment in the form of tablets and other electronic devices, we need more Christmas toys for girls and boys that get them away from the screen. Elizabeth Shaw, editor in chief, believes that the toys help build imagination in kids, helping them to create their own fun and content. Games and tablets have their place, but these toys are much more intimate and meaningful for fun. 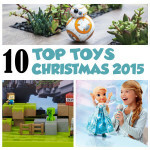 Here is a list of the 20 award winning toys. While there were no baby toys or toddler toys on the list, some of these toys made our christmas toys 2015 list. Here are the best preschool toys on the 2015 Familyfun list. You have never played a piano quiet like this. 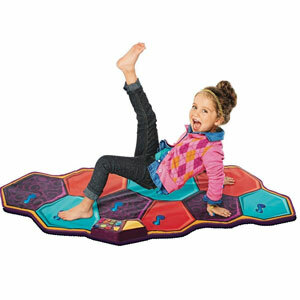 This fun musical mat lets dancers make music and sound effects with their feet. Doll Houses are cool. You know what is cooler? A dollhouse that you can configure anyway you want. 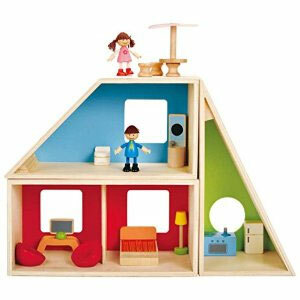 With gender neutral colors this dollhouse is one of the best toys for boys too. Are you getting hungry? 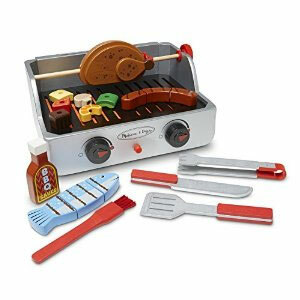 Then you need to try some of this pretend barbeque. There’s skewers, chicken, vegetable, and grilled fish on the menu. Go get a plate. 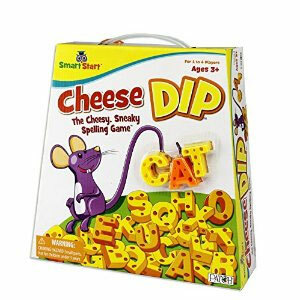 There is nothing like Cheese Dip for learning how to spell. Players have to hook letters on the mouse tail without dropping it to spell simple words. Who doesn’t love the zoo? 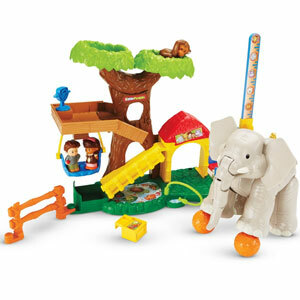 This play set includes a realistic elephant that comes to life with fun sound effects when you pull his tail or move his head. 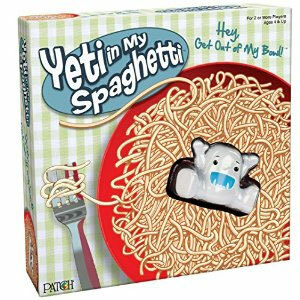 Can you save the Yeti trapped in the Spaghetti? One wrong move and he’ll be drowning in the spaghetti. Play food is fun but this toy takes it to another level with close to 100 different pretend pieces. 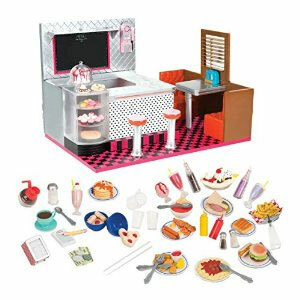 What could be more fun than a pretend diner? This set has it all from ketchup bottles to milkshakes to even a jukebox that plays music. How cool is that? Do your kids speak Minionese? This is no ordinary keyboard. Press the buttons and you will hear 39 different sounds from the Minions. 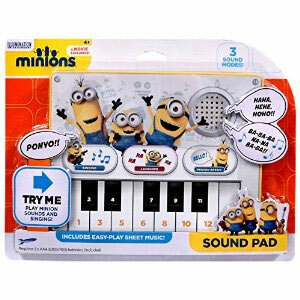 Despicable Me fans who love the Minions will love hearing all the giggles and noises. Here are the toys for Little Kids Ages 5-8. 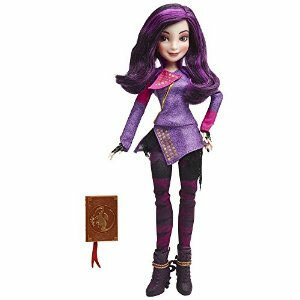 Disney Descendants might be the hottest new doll. This line of dolls is based on the TV movie that aired earlier this year. Disney Descendants is all about the children of popular Disney heroes and villains. Who doesn’t love playing a villain? Here is a fun way to learn about circuits for kids. 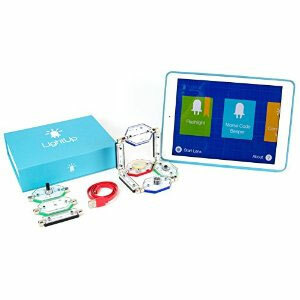 With this magnetic circuit kit, kids can create everything from a light to a buzzer. What could be more fun than building Legos? Destroying them! How about wrecking them with a wrecking ball crane? Crash. What if you could be someone else? 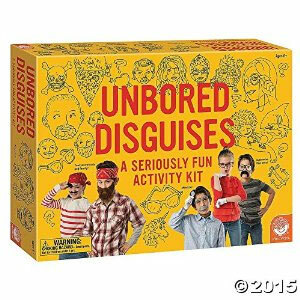 This set contains so many fun disguises including mustaches, tattoos, glasses, sideburns, and eyebrows. Nobody will be able to recognize you. The best part? Mom and dad can try on some disguises too. 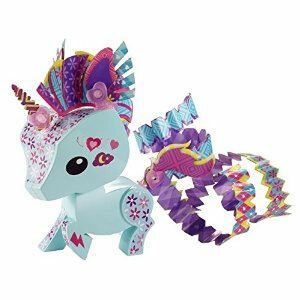 Combine Origami with a toy and you get AmiGami. This toy has kids building their own animal out a paper parts that can be cut and shaped into all types of fun body parts. 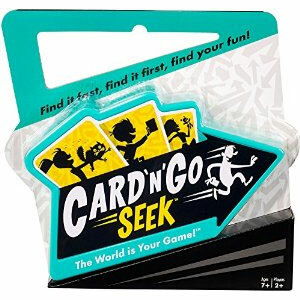 In Card N Go Seek, players pick a card and have to find an item that matches the description. The fun part? The cards are very vague. It’s fun to see all the crazy stuff people bring back. 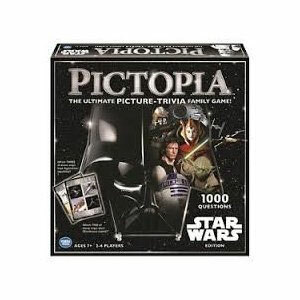 It’s Star Wars and Pictopia! What could be cooler? With over 1000 trivia questions, Star Wars fans can really test their knowledge of the far away galaxy. 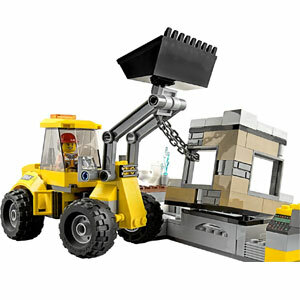 Here are toys for big kids from 8 to 12 years old. 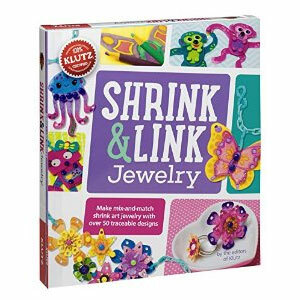 If you were born in the 80s, you probably remember Shrinky Dinks. They are back. Pop your shapes in the oven and turn them into glam jewelry. How cool is that? Can pigs really fly? 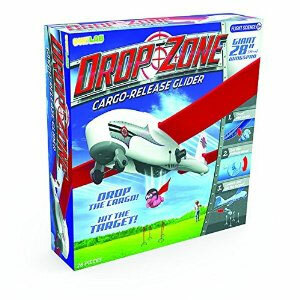 This STEM kit has kids launching flying pigs out of a gliding airplane to hit targets. Small adjustments can have dramatic adjustments on the end result. Creating your own art by yourself is fun but creating it with others is even more fun. It’s all set up as a game with cards, dice, and a color wheel. Through the game different players will be called upon to add their own artistic flair to the working masterpiece. When the finished card is pulled, the masterpiece is complete. Hang it on the fridge. 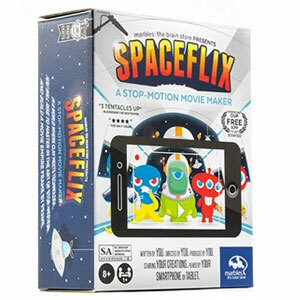 How would you like to create your own space movie? You can with this kit and the free app that works your mobile device.